Help students get to know the historic figure who led America's fight for independence and became the first president of the United States. This portrait is over 5 1/2 feet tall! 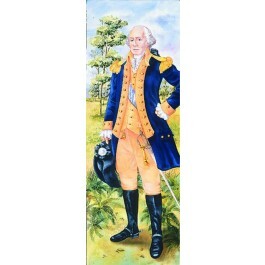 Includes a biography and related classroom activities.The poster comes packaged in two sections (34"h x 22"w) for an overall height of 68".